There are a number of un-noticed or unknown details in the world of watches. Those details, either came up randomly or made up on purpose, provide uniqueness to the models they are found in. 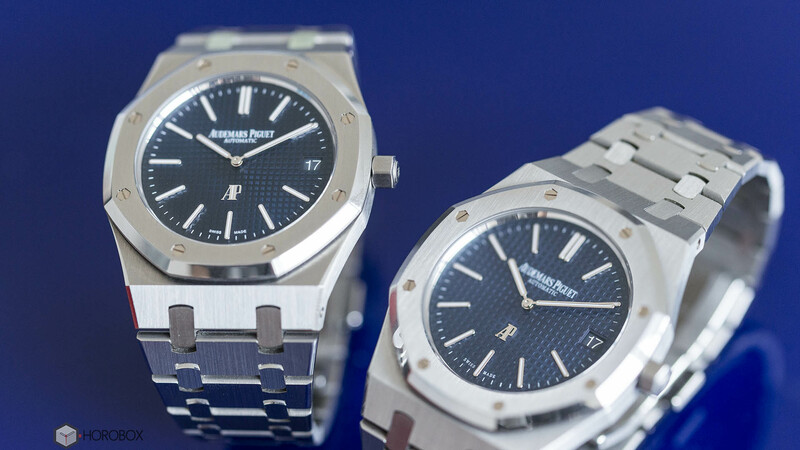 At most cases, they increase the value of the timepiece as well. 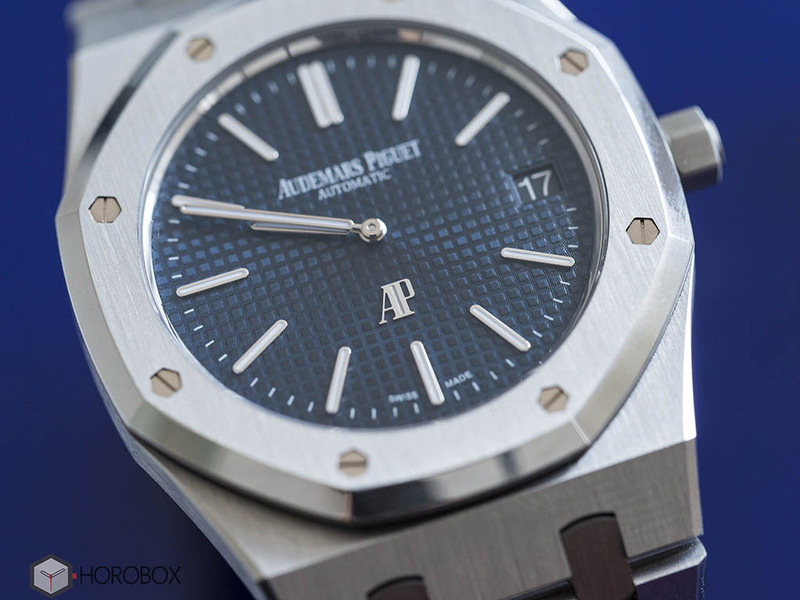 Today’s featured watch of our Editor’s Corner is the Audemars Piguet Royal Oak Extra Thin aka ‘’Jumbo’’. 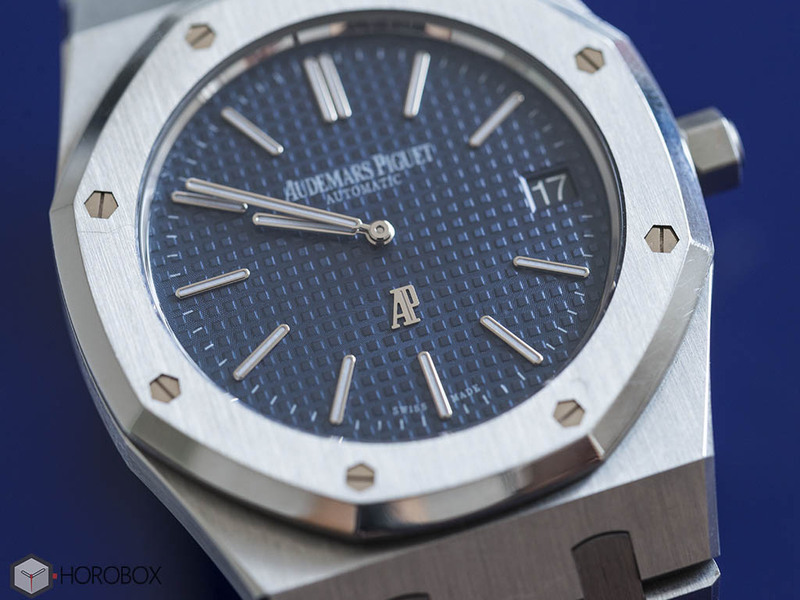 Let’s have a close look at this iconic watch which had its last facelift in 2012. 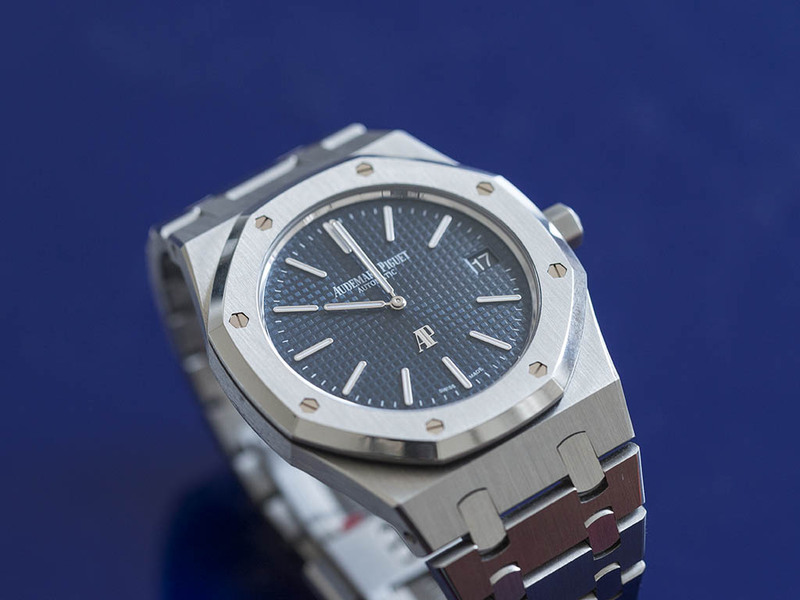 One of the most important players in the league of luxury watches, Audemars Piguet bypassed the crisis in 70s, which almost drove up the brand against the wall, by the help of the legendary watch guru Gerald Genta and his iconic design Royal Oak. 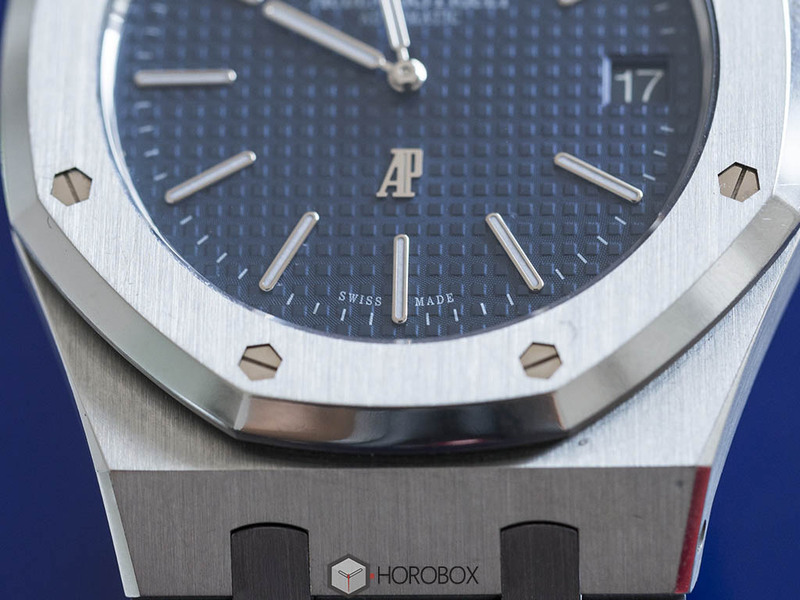 The model, which was the only one with a solid stainless steel construction, named as ‘’Jumbo’’ due to its relatively large diameter at 39mm. The first samples were issued with the Ref.5402 and the legendary series continued with the modern versions with 15202 as the Reference No. The model Ref.15202 was issued to celebrate the 40th anniversary of the iconic product line. It was a perfect clone of the original design in 1972. 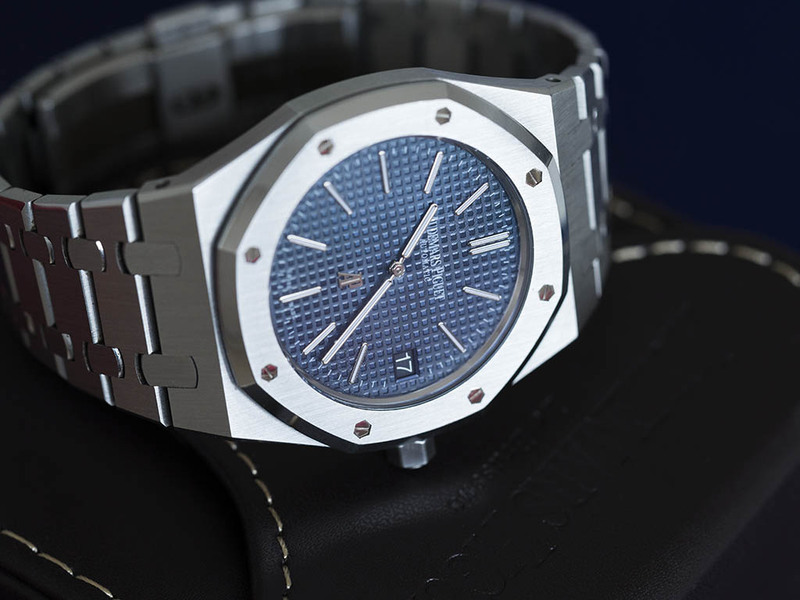 The watch enthusiasts praised the re-issue timepiece with great appreciation making the first lot sold out in a flash. An excited anticipation took over regarding the second lot to be arriving to the boutiques causing long waiting lists for this popular model. 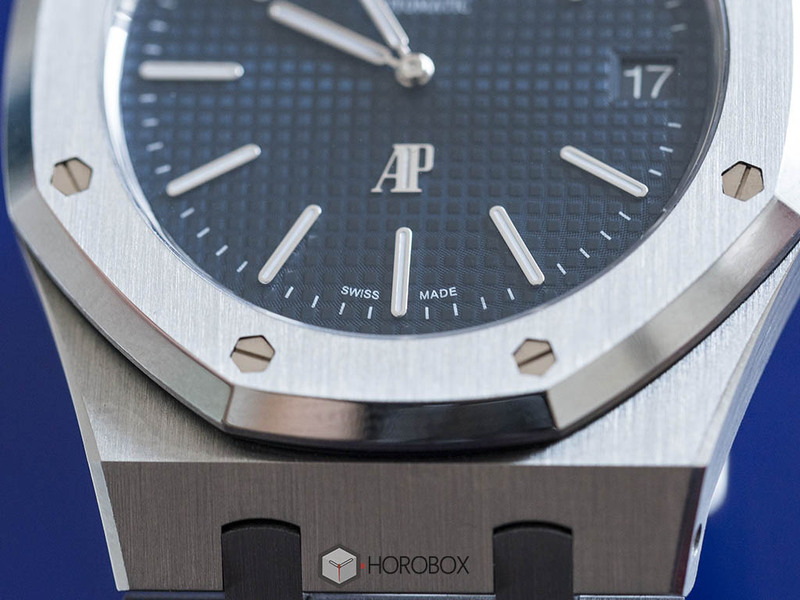 Jumbo managed to keep its rarity and value thanks to its magnificent movement, thin and elegant case and most importantly the clever marketing policy of Audemars Piguet. When the second lot is issued the Ref. No. remained the same however, there were important changes which are immediately noticed by the loyal followers of the model like me. Let’s have a brief look at those details which bear great importance and possibility to make significant differences at the future. 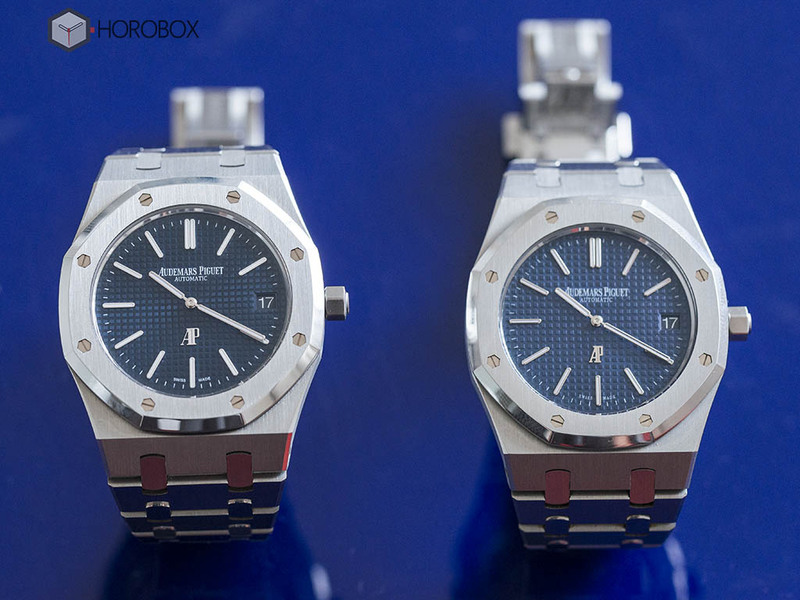 As seen on the comparison photos, the first lot’s dial color is remarkably lighter than the one used in the second lot. 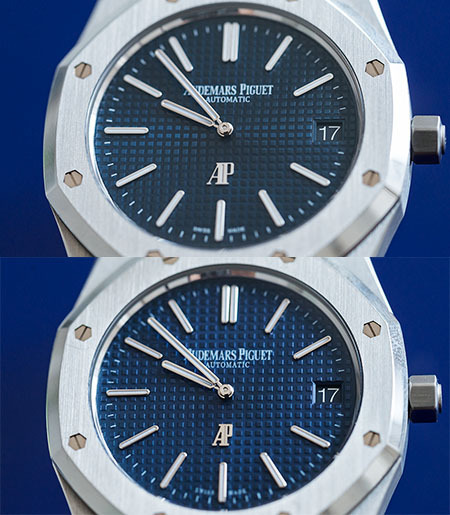 The differences regarding the signature feature of the brand “Petite Tapisserie” effect are quite obvious. If you do not notice the difference I suggest you to simply count the tiny domes. First lot dials have 26 pieces from top to bottom while the second lot dials have 30 pieces. Well, this title is almost self explanatory. At the second lot dials, the white gap part between the A and P letters in the logo is significantly larger than the first lot dials. The second lot dials sports a thicker font style compared to the first lot dial. 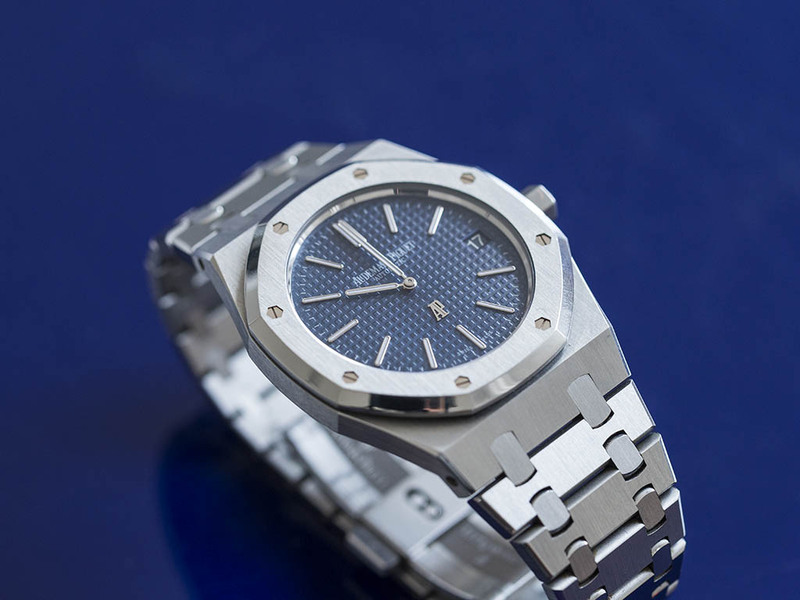 Loyal followers of the brand know very well that the serial numbers on the Audemars Piguet timepieces start with a letter. It is possible to have precise production date identification by simply decoding the letters which are issued in alphabetical order through the years. Referring to this information, the 40th year version model with the lighter color dial bears the H serial no. Maybe it’s just a coincidence but the second lot watches’ serial no. starts with the letter I. Despite the darker color dial, the Ref. No. 15202ST.OO.1240ST.01 still remains the same. As of today, it’s not a surprise to see the rarity of the first lot Jumbo (produced 2012) is four times more than the later versions. Since the demand always grows for the rare one, this rarity will surely increase further in the feature. In the meantime, the H series ones will remain their rarity among the later versions and will be more desired. I suggest all Jumbo owners to check the serial numbers on the back of their watches. See you in another article at Editor’s Corner.